Top 10 Home Decor Trends – for renters! After the success of my Room Reveal series last year, I’ve recently been redecorating both my kids’ bedrooms with a fresh, new look for each of them. Their previous rooms were tired and bland with no personality so I’m thrilled with how the new Boy Room and Girl Room (coming Thursday!) turned out – far more suitable living spaces for one pre-teen bloke and one grown-up girl! Following on from this awesome campaign I’ve been really inspired to continue rolling out the refresh throughout my home. Not to say that the current rooms look bad–they don’t! I have just fallen in love with interior design and love what a big impact just a few tweaks can make, if you know what you’re doing. So today I’m sharing a few of my favourites with you! These are the showstopping décor trends for kitchen, lounge, bathroom and bedroom that you can try to incorporate in your home this year, even if you’re a renter. This isn’t a new trend, but it’s one that is perennial in popularity for good reason. Many people think the focal point of a home is the family room, but within an average lifetime of 73 years, a person will spend the equivalent of over 5 years in the kitchen! Even if you’re living in a rental you’re likely to want to invite a friend or two over every now and again, and the reality is that cooking meals for guests is far more enjoyable when you can both enjoy a drink together at the table while you cook. And if you have kids then all the more reason to try to find a way to squeeze in a small table and a few chairs or stools (they take up less space and are easy to store under the table when not in use), so that you can enjoy a quick evening meal all together without having to set the more formal dining room table. The addition of luxe metallic touches in design is not new, but the big difference this year is the choice of metallic finish – think less copper and rose gold, more brass! Brass is the most sophisticated and organic of the metallic colour palette. By adding brass furniture pieces, mirrors and accessories you’ll add a luxe finish to any room. An easy way to add this metal into your space is with a small beaten brass dish, a vase or a lamp. Colours to pair with brass? 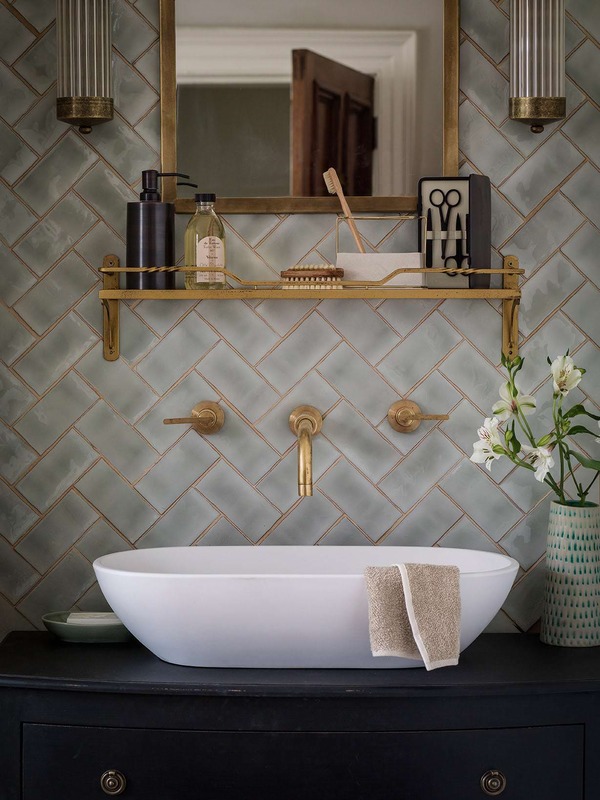 Soft pink and emerald green both accentuate brass and gold tones perfectly. A lick of paint is a beautiful thing, and one of the quickest ways to transform a space (especially if you’re a renter and can’t do too much other remodelling). This year grey is still the neutral wall colour of choice for many interiors, but bold colour is set to make more of a statement in 2018. Aside from using colour on the walls think about incorporating it into your furniture pieces too, such as a large statement couch in a rich toned, luscious velvet. Your moody palette could include violet, aubergine, peacock, navy and emerald green. Texture is a big thing this season. 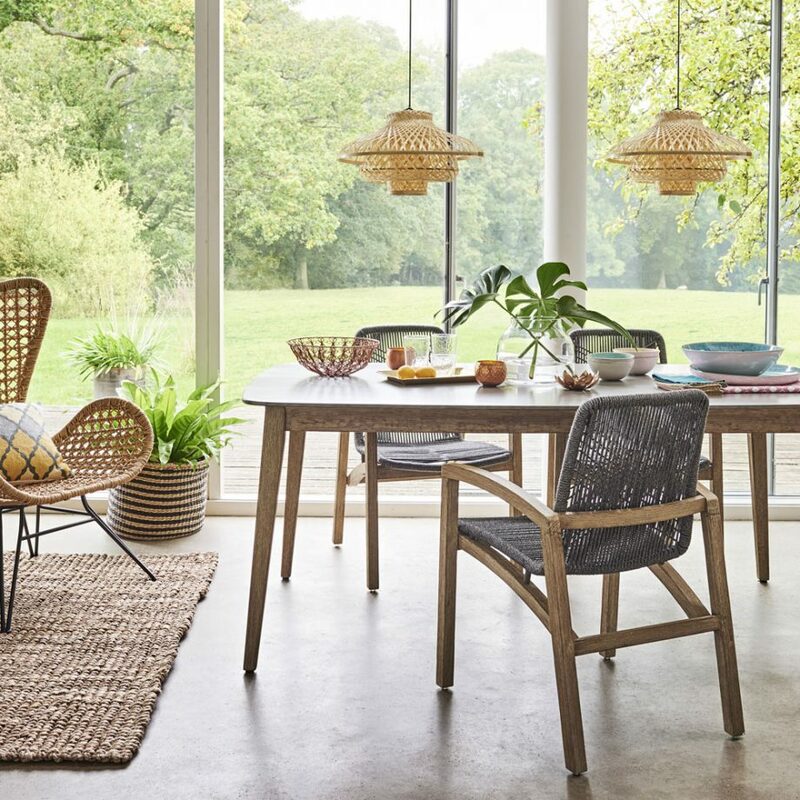 Furniture with a natural, handmade feel, such as rattan and wicker, is worth investing in. Textiles that are irresistible to the touch will add a playful element to any space – think fringing, raw edges and embellishments. Remember mixing textures, such as marble with metal, is also a really powerful interior statement. Whatever the colour palette, mixing textures can instantly create another layer of decoration and interest, so don’t be afraid to experiment. 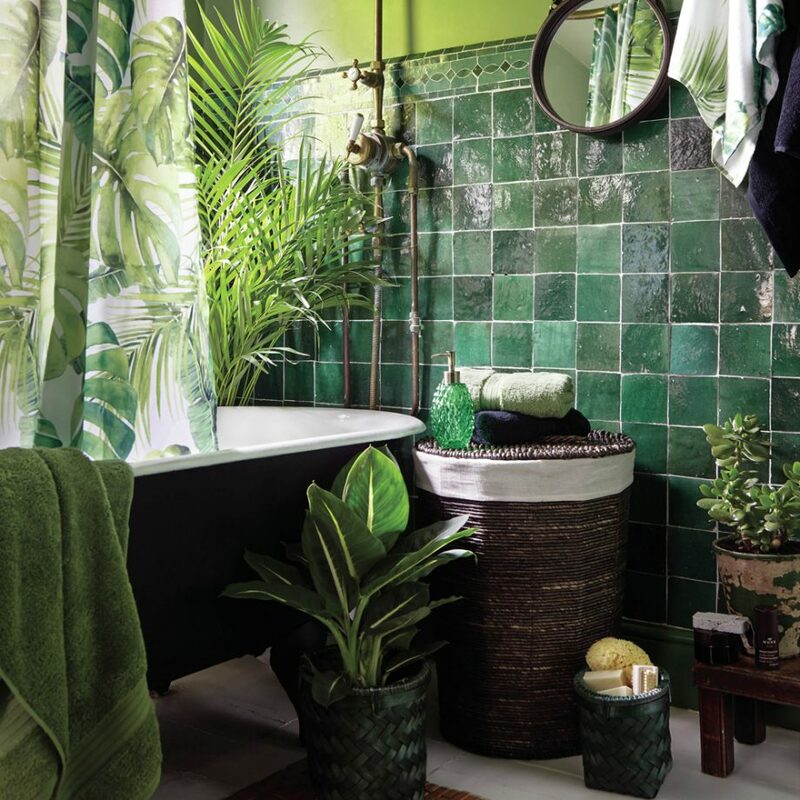 The tropical trend is still going strong and it’s the perfect way to revive a tired bathroom or to hide bad plumbing. Bring in a mix of lush, energising green leaves to revitalise your space and add a spa-like quality to your every day! 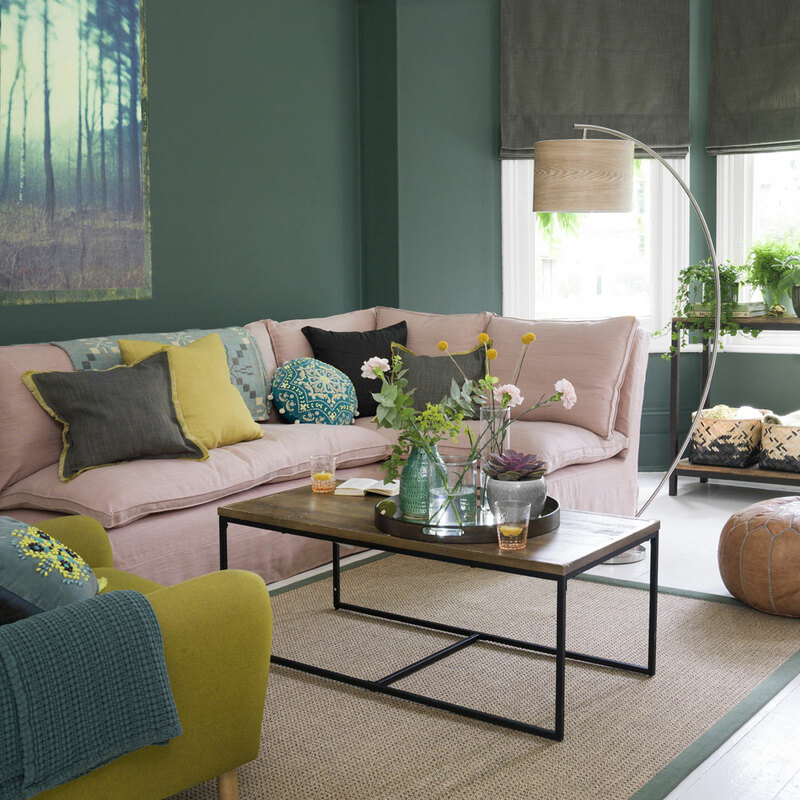 Rich shades of green look striking against on-trend darker furniture choices and the darker walls that are so fashionable for home decorating right now. Other key elements to help create this lush look in your home include textured baskets, large leaf prints and gorgeous exotic birds of feather. Keep your most used toiletries and bathroom accessories close at hand with a handy little ledge perched over your vanity. This is not ideal if you have the need for a lot of storage, but pretty picture perfect if you are a minimalist in the bathroom (not me!). I do love this idea though: I’m currently working out what under-counter floating storage solution I can use. 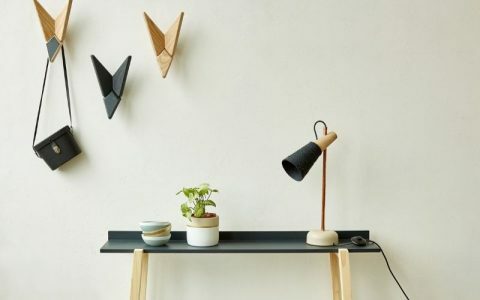 This aesthetic, rather than functional, little ledge is purely for the prettier items in your life – a bottle of perfume, scented candle and a bud vase or small piece of art would look perfect perched here. 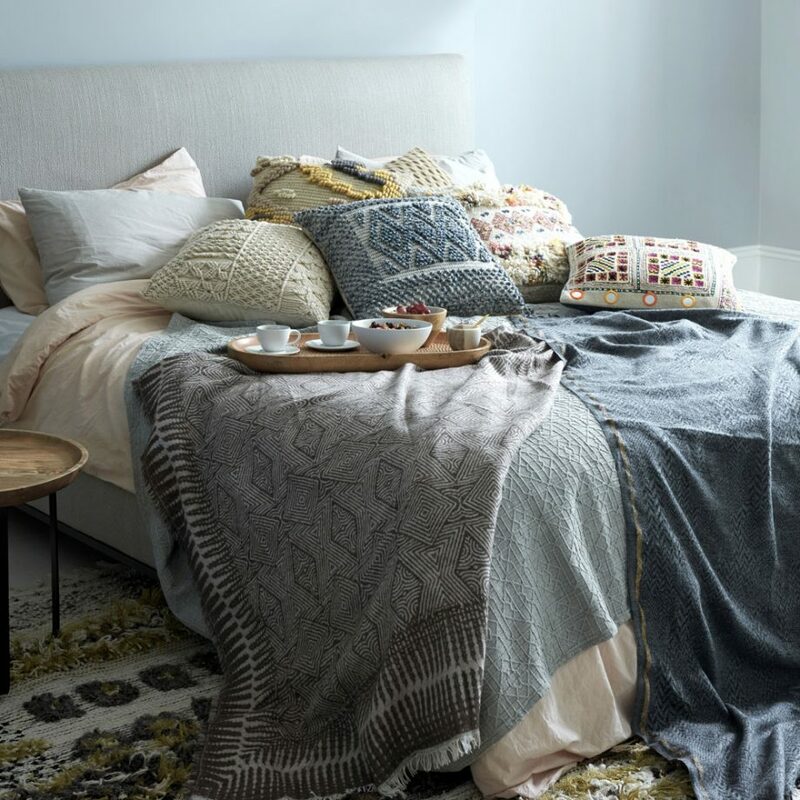 Embrace the concept of hygge by creating a cocoon of cosiness in your bedroom. Beds full of layered blankets and pillows will really enhance the comfort of your bed and invite you to spend more lazy days reading and relaxing in this safe space. 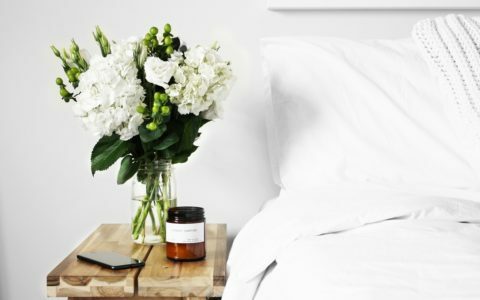 Begin with a really good mattress and quality cotton sheets, then add a cushy duvet with crisp linen. Top everything off with a few cozy blankets (extra points for texture) and a variety of pillows — some for sleeping on (I love memory foam ones), some for lounging on, and others for mere decoration. A lovely layered bed is the ultimate in luxury design and one my friend, Lauren Mccreath, has recently introduced me to. 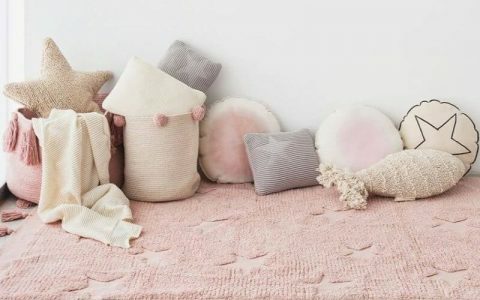 This is certainly one trend I’ll be trying out this winter as it’s one of the easiest to incorporate into your space – whether you own or rent! Warm, earthy tones have made a comeback this year with colours such as soft beige, tan, mustard, terracotta, caramel brown and warm reds making an appearance. There is a shift away from the cooler, more minimal palette towards these warm, exotic, energizing hues, all balanced out with a soft ivory. 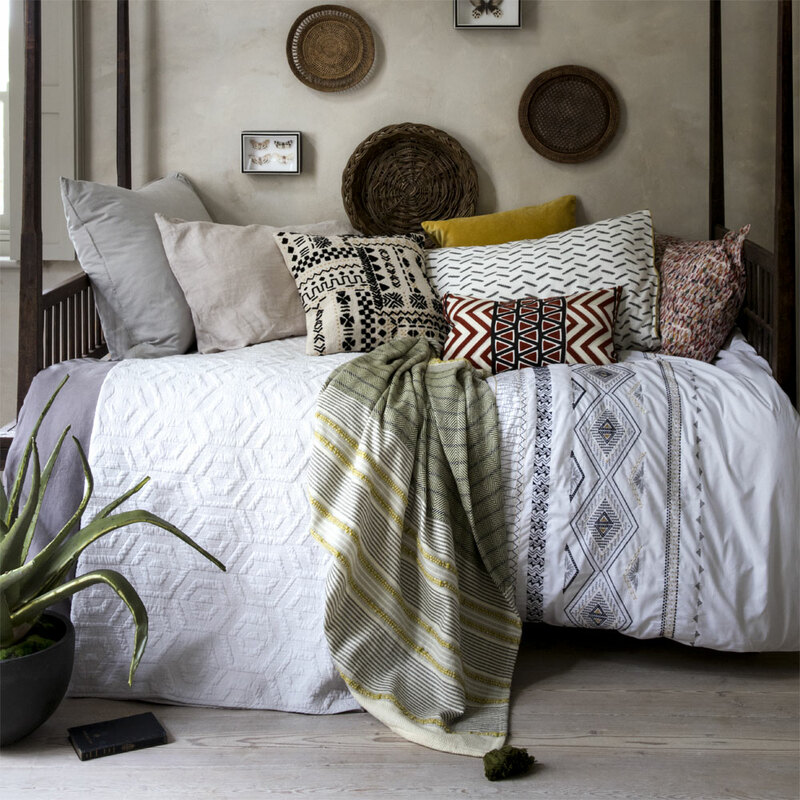 This trend is influenced by travel but also picks up on the trend for traditional, handcrafted and textured items. Accent pieces that showcase the artisan process, use natural materials and incorporate folkloric patterns in down-to-earth tones are the perfect way to bring life to a space. Flowers and botanical prints are always in fashion; it’s just a case of what makes them feel new. This season’s prints come straight out of an artist’s sketchbook or a forager’s handbook with hand-drawn motifs in big business. 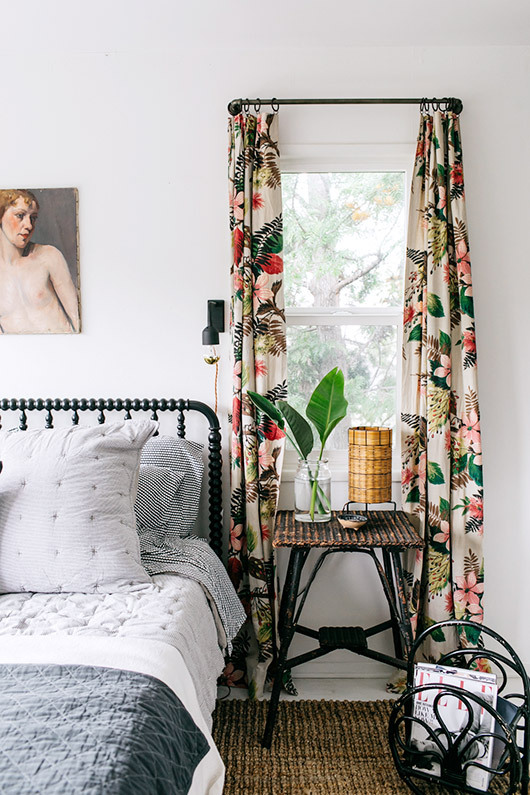 Interior design experts have seen floral prints in bold, contrasting colors make a big comeback this year, particularly on large, billowing fabrics like curtains, as well as on chairs and throw pillows. The key to making this bold trend work? Moderation. Make sure you have some neutrals and basics to balance out the bold floral and you’ll be good to go! The biggest home decor trend of all…. When it comes to home decor, the most important decor trend of all to reflect in your own home is actually the easiest of all to achieve – authenticity! This is something that will never change as you should always decorate your home to reflect your personality, your family and your travels. Surround yourself with the things you love and that inspire you and you’ll always find that your space will make you happy. Ultimately that’s the goal of interior design – to create a space that you love! Celebrate your personal creativity and originality; put up your kids’ art, display your collections, frame some photos from your travels. If you’re decorating your space from a place of true authenticity, it will always look unique – and that’s what you ultimately want. If you’re looking for a new property to buy or property to rent, find a space where you can visualize and make your own home decor dreams come true. 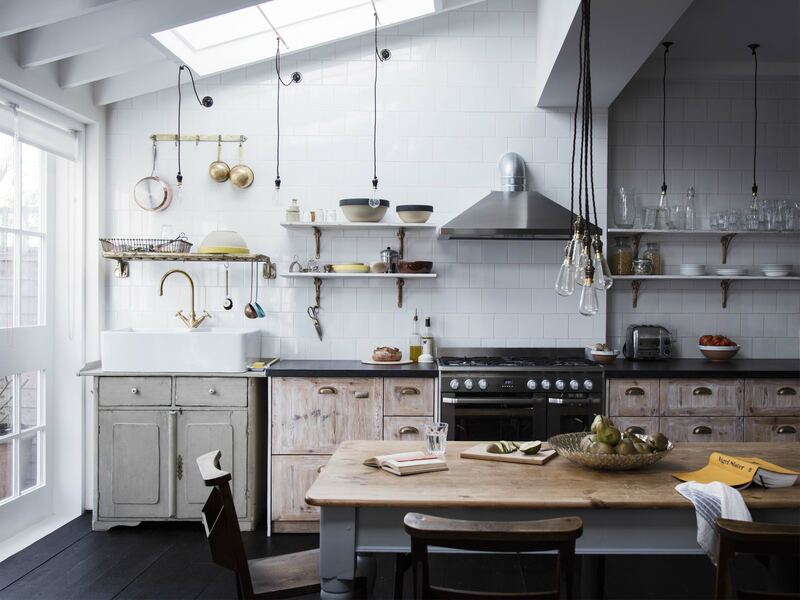 Love to see kitchen decor trends, It’s amazing !!! Glad they could inspire you! RIght! Very nice pictures…. very stylish. Hope you also appreciate our furniture. 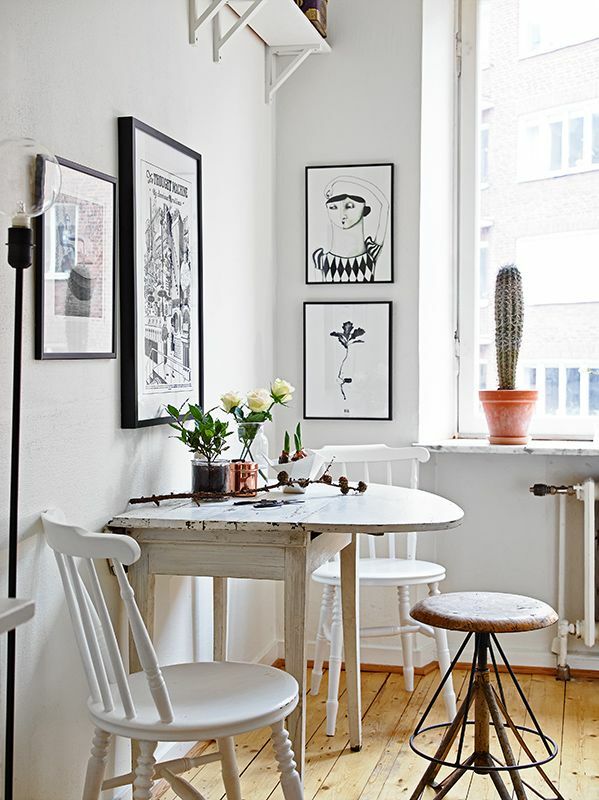 Very pretty post and decor ideas too. Great work. Gorgeous! These are really amazing home decor trends. These are the simple and easy way to change the whole look of the home. Thanks for sharing the wonderful article. Very awesome Article!! These are very hottest home decor trends that I have seen till now which can be implemented for a finest luxury home interior. I have seen a unique luxury range of furniture that fire up such decor trends. You can check out for more different home decor ideas at Marina Home Interiors. Make sure you have some neutrals and basics to balance out the bold floral and you’ll be good to go! I really love the post! these different style pillows how effortlessly enhancing the look of the overall bedroom. Mattress, pillows, blankets are really helpful to make your bedroom prettier.